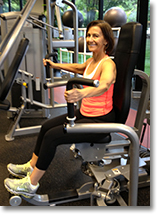 Dr. Deb will personalize a fitness program to meet your needs! Options include training at Magna Fitness Center, located at 1401 S. Brentwood, Suite 135, St. Louis, MO 63144, or having a program set up at your home. 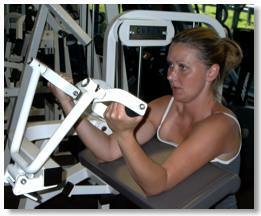 Additionally, Dr. Deb can set up a program for you that you can follow up on your own at your facility of choice. Training rates start at $80/hour session, but discounts are available for shared sessions. There may be additional charges for travel time if you choose in-home training. 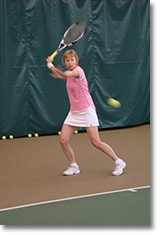 In addition to having Dr. Deb set up a personalized program that you can perform on your own, you may arrange to have Dr. Deb train with you at set times and days on an ongoing basis! For the young client, the emphasis is often overall health, with the concentration on the 4 basic components of physical fitness: muscular strength and conditioning, cardiovascular conditioning, flexibility, and body composition. In this age group, feeling and looking good are important, as well as performing optimally in life, whether in school, at work, or in various recreational sports and activities. In the middle-to late-middle aged population, the general approach is to enhance daily living. The concentration is still on the 4 basic components of physical fitness: muscular strength and conditioning, cardiovascular conditioning, flexibility, and body composition. It is in this age group that decrements in these fitness components become evident if sufficient intervention is not pursued. Additionally, movements that enhance balance, proprioception, and kinesthetic awareness are helpful at this point. that I needed to continue the program on my own." part of staying physically fit." build my confidence & flexibility." The movements need to address any special needs of the specific sporting activity, but special needs of the individual as well. 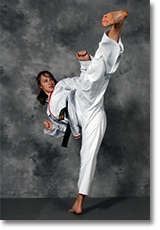 The competitive athlete is usually training for the purpose of improving sports performance. We first start with basic strength and conditioning, and then progress to more skill-specific movements (i.e., those that complement &/or mimic the specific sport movements). transitions over to my work training." 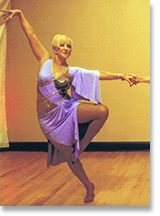 "For some time I have engaged in competitive ballroom dancing, and I wanted to improve my stamina and muscle tone. So I turned to Dr. Deb, my personal trainer. 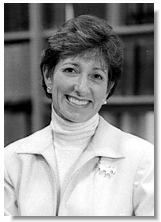 Dr. Deb & I embarked on my program to achieve my goals. I could not be more satisfied." The elderly have special needs of their own. In addition to the basics of muscular strength and endurance, cardiovascular endurance, flexibility, and body composition, we now need to work on balance and coordination as well. 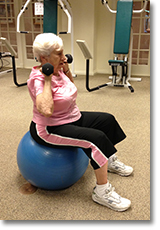 In the older clients, we also concentrate on the ability to perform activities of daily living (ADLs). 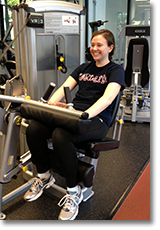 As with younger clients, the program must be customized to meet any special health needs as well. for the past 18 years." 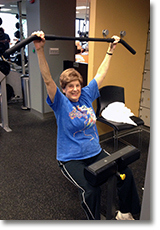 "I am convinced that training with Dr. Deb for the past ten years has allowed me to still be able to travel and to do all the things I enjoy."